Billy Bragg, Yola, Ethan Johns and many more will join Band Of Horses, John Butler Trio, The Staves, Kris Kristofferson & The Strangers, The Mavericks and Neko Case for a celebration of the Americana way of life. His ongoing punk-charged documentation of British life saw Bragg honoured the PRS Outstanding Contribution to British Music Award at the Ivor Novello awards last year as he continues to be a valuable and relevant force in contemporary music; his appearance, at Black Deer Festival, will be one of the festival's highlights. 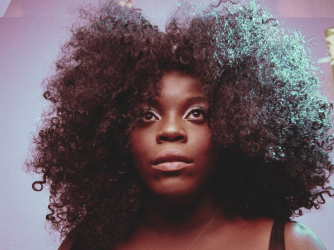 With a voice like no other, the ever-fierce Yola is set to captivate the Black Deer Festival audience with surefire hits from her debut album Walk Through Fire. Recording her debut release with Dan Auberbach of The Black Keys, Yola is one of the UK country's fast-rising stars, overcoming adversity with a tenacious spirit and an undeniable passion for music, sparking inspiration with her unique country-soul sound. 2012 Brit Award winner Ethan Johns is playing not only solo sets but also with Black Eyed Dogs. Famed for his engineering, production and mixing work with the likes of Paul McCartney, Kings Of Leon, Ray LaMontagne and Tom Jones, Ethan released his fourth EP Anamnesis in September 2018. Written over two weeks in Ethan's London home, the producer described the experience as "legitimately one of the best times I've ever had making a record." London folk rock outfit Treetop Flyers have truly stamped their mark on the international folk scene since winning the Glastonbury Festival Emerging Talent Competition in 2011. With three studio albums to their name, the five-piece's most recent self-titled record serves as a poignant turn within their musical self-confidence, whilst staying true to their 60s West Coast and psychedelia style. Elsewhere, Treetop Flyers' Soulful vocalist Sam Beer will also make a solo appearance at Black Deer, bringing his American delta blues-inspired songs from his Great Barr Colony EP to Eridge Park. Husband and wife duo Ida Mae, a.k.a Chris Turpin and Stephanie Jean, are rapidly becoming the hottest names in alt folk rock. Fresh from touring the states and armed with their latest single If You Don't Love Me, the duo's beautiful simplicity never fails to demand attention. With their debut album Chasing Lights expected in July, Black Deer Festival offers the opportunity to get a taste for their material first. To keep up-to-date with Black Deer Festival's - which takes place on the 21/22/23 June 2019 - latest additions and details on its Americana and Country music set over 7 stages, exquisite smokehouse cooking and Southern hospitality, as well as a truly unique cinematic experience, a curated marketplace of artisans and makers, custom motorcycle culture and outdoor adventures for families .. CLICK HERE.